We know that the more information you have before creating an email marketing campaign the better it will turn out. 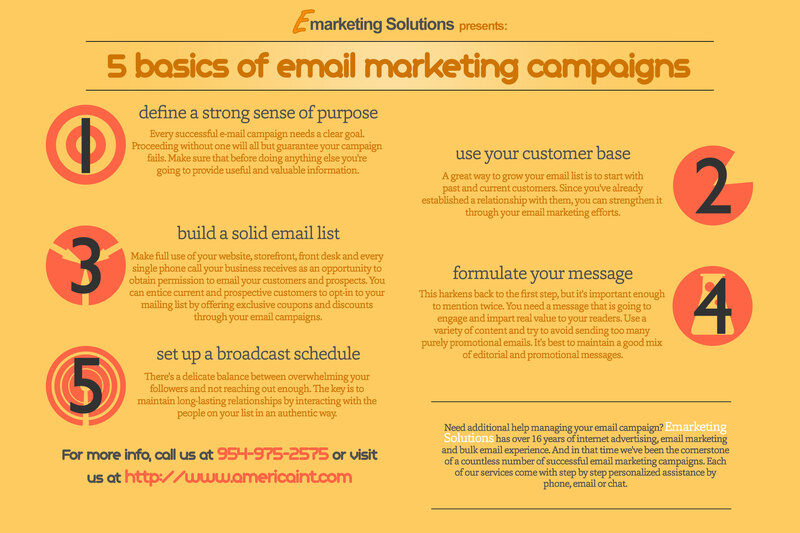 That’s why we created our latest infographic: The Five Basics of Email Marketing Campaigns. It imparts several hard won techniques that will lead to healthier and strong email marketing campaign. Now, without further ado…. Still have questions? Feel free to contact us. Also, keep an eye for more guides and infographics like this one coming soon. And if you’re ready to start your email marketing campaign, or at least take it in a different direction, here is a great place to start.